When it comes to reducing cellulite, DIY cellulite creams will surely become your new favorite way of pampering yourself and perking up your appearance. They make for a quick project that’ll leave you with lasting results and you’ll be surprised how many of the necessary ingredients you can find already lying around the house. Here’s our collection of easy, budget-friendly, and quite luxurious creams that are great at busting cellulite. Having good circulation is key to fighting cellulite. This cream from TopBeautyBrands is perfect for promoting blood flow, and it combines several oils such as Juniper and Rosemary that do just that. Collecting ingredients and making it can be a little time consuming, but making sure everything is mixed properly is the key to this cellulite cream’s effectiveness. 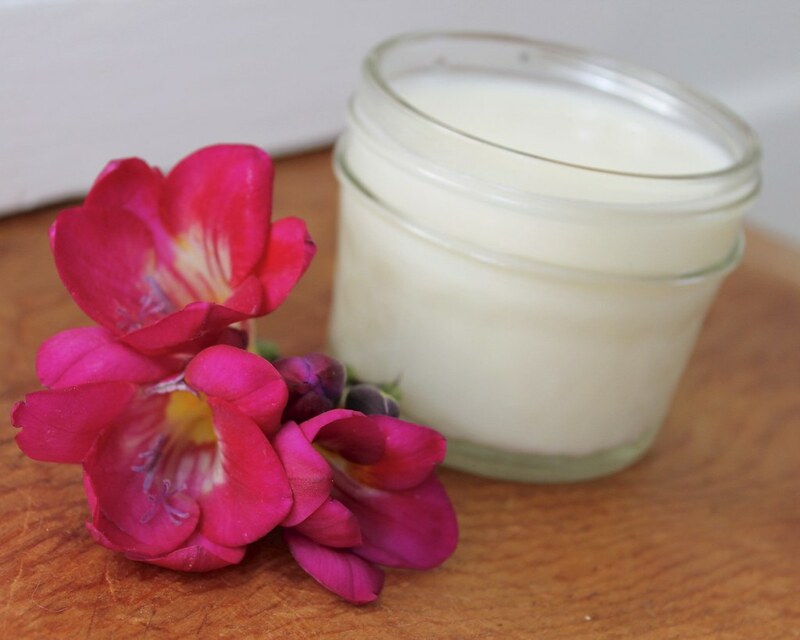 Shaved beeswax: Easily absorbed into the skin, and makes for a great cream base. Extra virgin coconut oil: Provides excellent moisture and nutrients for skin. Juniper oil: juniper is a purifier and stimulates circulation. Grapefruit oil: Increases circulation and reduces fluid retention. Rosemary oil: Flushes your lymphatic system and increases blood flow. Cypress oil: Gets rid of toxins in your skin. Witch hazel: Tightens and tones skin. Coconut oil has gained a lot of popularity in the last couple of years for its many health benefits. For this DIY cellulite cream recipe, you’ll get the chance to create a fluffy coconut oil based cream that’s simple to make, contains minimal ingredients, and undoubtedly fun to use. Extra virgin coconut oil : Softens, repairs, and moisturizes skin. Lemon essential oil: It’s a powerful antioxidant with invigorating properties. Peppermint essential oil: This serves as an anti-inflammatory and energy booster. Who doesn’t love the smell of coffee? The star ingredient in this DIY cellulite cream will have you looking no further than your own kitchen. Coffee grounds and coffee extract are used in many high end cellulite creams, but this homemade version is much more budget-friendly and will even leave you with a nice bronze. Coffee grounds: Caffeine dilates blood vessels and tones the skin. It also increases circulation and reduces water tension. Olive oil: Contains vitamin E and other antioxidants that lead to healthy skin. Extra virgin coconut oil : Moisturizing to the skin and helps other ingredients get absorbed. Aloe vera gel: Has anti-inflammatory properties. Grapefruit essential oil can be found on the top of the list when it comes to effectiveness for banishing cellulite. This incredibly simple recipe uses it to its full effect. It only takes a few minutes to mix this cream up, and its best used daily. If you’re a fan of the fruity scent of grapefruit, then this is definitely the cream for you as the smell is quite powerful. Grapefruit essential oil: Contains high amounts of an enzyme called bromelain which helps break down cellulite. Furthermore it removes toxins from the body, and prevents further cellulite growth. Extra virgin coconut oil: Hydrates skin and helps the grapefruit oil effectively sink in. Note: You might also be interested in our collection of DIY body wraps for weight loss and detox as these treatments go well together. Many say that, when it comes to cellulite, there is no such thing as a quick fix. However, with the ingredients used in this orange and cinnamon cellulite cream, results can be seen in as little as a week. The warm scent of cinnamon makes it extra appealing, but those with sensitive skin may want to test this on a small area before applying as it may cause irritation. With only a few ingredients, this cream can easily be whipped up and has an impressive shelf life of 30 days. Extra virgin coconut oil: Great for opening pores to promote absorption. Orange essential oil: Tightens and strengthens blood vessels, enhances blood circulation, and flushes the lymphatic system. Cinnamon powder: Reinforces connective tissues, and increases the effectiveness of citrus oils. The calming scent of lavender is a comfort to many. This DIY cellulite cream is wonderful to use during your nightly ritual for winding down before bed. Patience will be needed for this recipe as the process requires multiple steps and some patience, however the end result is nothing short of smooth and luxurious. Extra virgin coconut oil: Moisturizing to skin, and creates a creamy base. Extra virgin olive oil: Contains nourishing antioxidants and vitamin E.
Shea butter: Hydrates skin and contains many healing properties. Lavender essential oil: Promotes relaxation while also restoring skin complexion. Lemon essential oil: Effective at dissolving cellulite pockets. If you’re a fan of essential oils and their amazing healing abilities, then the DIY cellulite cream recipe from SweetSimpleLiving is the one for you. The ingredient list is quite lengthily, but each oil plays an important role in reducing the appearance of cellulite. As an added bonus, this cream is also great for reducing the appearance of stretch marks and scares. Extra virgin coconut oil: Hydrates skin and works and is effective in helping oils absorb into skin. Shea butter: Provides healing to the skin while also moisturizing. Vitamin E oil: Encourages damaged cell regeneration. Juniper berry essential oil: It reduces water retention and rids the body of bad cholesterol, which is a primary cause of cellulite. Rosemary essential oil: One of the best essential oils to use for blood circulation. It also combats lymphatic blockage. Frankincense essential oil: Reduces inflammation. Lavender essential oil: This is great for restoring skin completion and inducing relaxation. Grapefruit essential oil: It removes toxins in the skin, and stops cellulite growth. Cedarwood essential oil: Its effective at balancing the skin and removing impurities. It also draws out any excess fat between tissues. Carrot Seed essential oil: Contains powerful antioxidants and detoxifying properties that promote blood circulation. Cellulite is known for being stubborn, but there are plenty of ways to reduce it’s appearance. With easy DIY cellulite cream ideas like these that use natural ingredients, you’ll be well on your way to getting the look you’ve always wanted. Do you know of other ingredients or recipes that work against cellulite?